Nmap is a very popular free & open source network scanner that was created by Gordon Lyon back in 1997. 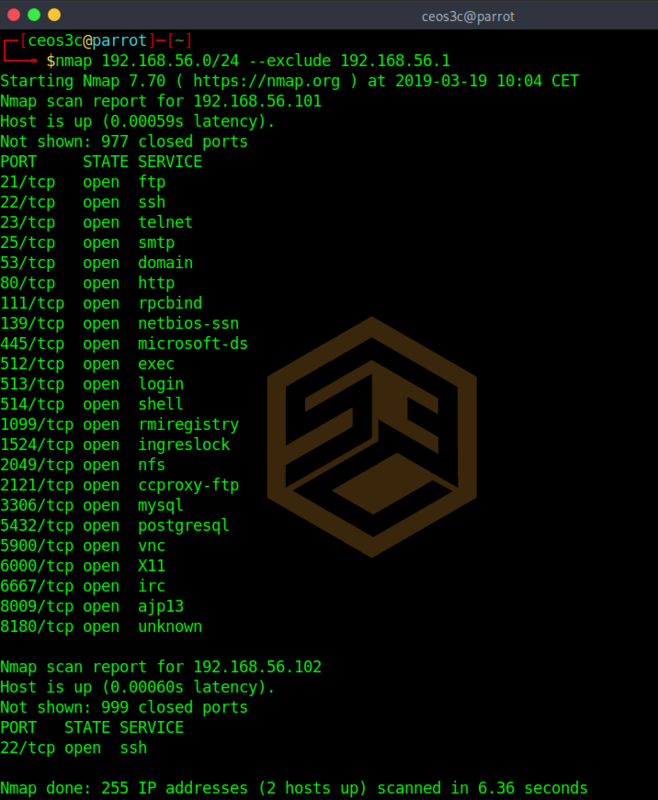 Nmap is widely used in the Hacking and Cyber Security world to discover hosts and/or services on a network by sending packets and analyzing the following responses. In this Nmap Tutorial Series, you will learn everything you need to know about Nmap. Most beginners only use Nmap to scan a network for open ports, although it is capable of much more than that. You can use Nmap to discover hosts, services, operating systems and even use its extensible scripting library for vulnerability scanning. In this first Nmap Tutorial, we will cover only the Nmap basics. We will go through a couple of basic scans and we will learn how to install Nmap. 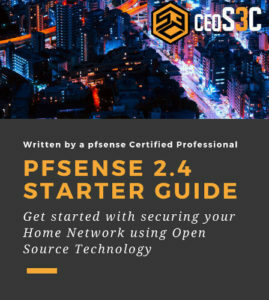 All of the following Nmap tutorial articles will be linked in the Getting Started in Cyber Security article. Later on, in this series, we will look into the very powerful Nmap NSE Scripts. 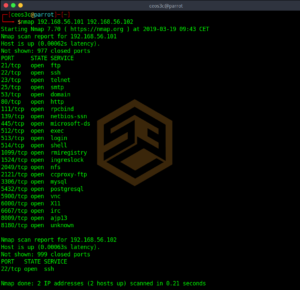 Nmap is available for Linux, Windows, and MacOS. In this Nmap tutorial, we will be using the Linux version of Nmap, more specifically, Debian based Linux. Let us start with the installation itself. Nmap is available in two versions, a command line version, and a GUI version. We will look at the command line version first, as this will be one you will be using the most for any security-related work. For this tutorial, we are using the 192.168.56.0/24 subnet in a VirtualBox Host-Only network. You don’t need to run a security distribution to use Nmap. 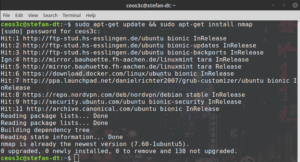 You can install it on any Debian based system with the following command. This is an extra point because this is important. Take this into consideration when using Nmap and use Nmap at your own risk. If you get in trouble, I can’t be held responsible. If you scan networks that you don’t have permission to, you can get in trouble and lawful consequences might occur. Only use Nmap within your laboratory or with the consent of the receiving party. Now we will go over a couple of basic scanning techniques. Be aware that a firewall in the network can possibly return false scan results because they detect your scan. 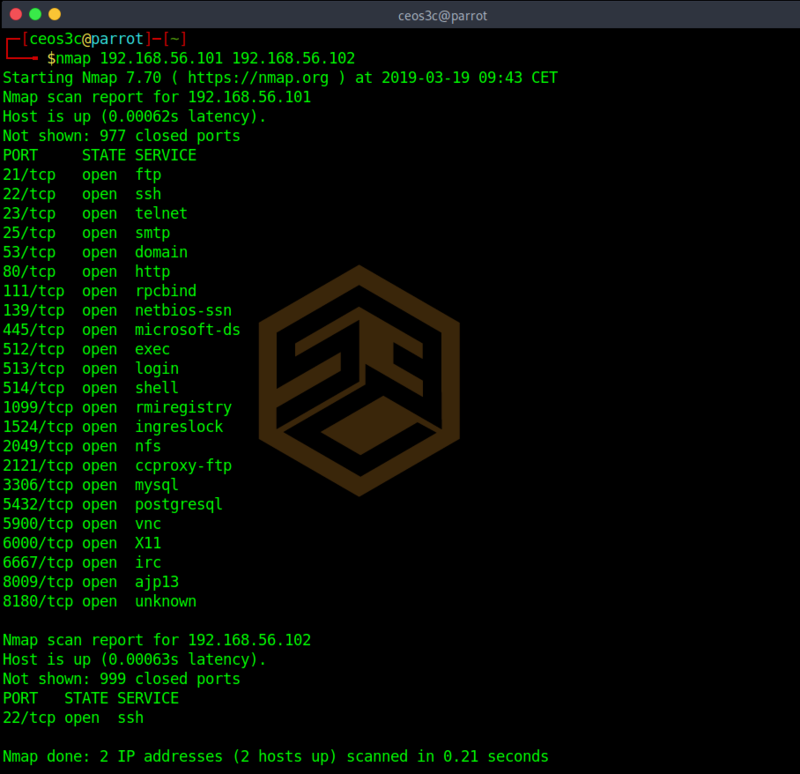 This default Nmap scan will check against the 1000 most used TCP / IP ports. You see three rows in the results. PORT, STATE, and SERVICE. The PORT row obviously shows you the port number and the protocol. The STATE row shows you if the port is open or closed and the SERVICE row shows you which service is associated with the port. This default scan is mostly used to get a first overview of a client. You can also go ahead and scan for multiple targets at the same time. You can extend this list as long as you want. This command is seldom used tho, it can be replaced by the more efficient command below. To scan a whole range of IP addresses use the following. This automatically scans for all online hosts in this IP range. This command is widely used. It allows you to scan a whole subnet using CIDR notation. Now we can take this a step further and also use lists to put our targets into. Our targets.txt includes two hosts, one per line. 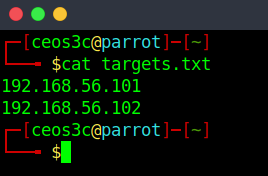 If we run the following command, Nmap runs the default scan against those targets in the list. It is also possible to exclude targets from a scan. If you know for example that 192.168.56.1 is the router and you don’t want to run your scan against it, use the following. You can also exclude a whole range of IP addresses by using 192.168.56.1-100 for example. |_ssl-date: 2019-03-19T09:07:32+00:00; 0s from scanner time. As you can see, this returns a hell lot of more information. This should be enough to get you started. I recommend building a lab and testing out those basic commands. See what information you are able to gather and how to process it. Run scans against different targets and against different OS. You find Part 2 here.